Featured in this week’s History of Magic is David Copperfield, who has been described as the greatest magician of the century and millennia. He has received countless awards and achievements and is surely a living legend in his own time. 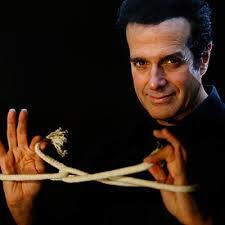 The wonder of David Copperfield’s magic has touched everyone as he continues to amaze and mystify. His illusions are bewildering and spectacular, while his intimate magic continues to enthral people of all ages. Copperfield was born in New Jersey N.Y. in 1956 and began his magical career at age 10 performing as Davino the boy magician. At age 12 he was inducted into the Society of American Magicians (S A M) the youngest ever member. 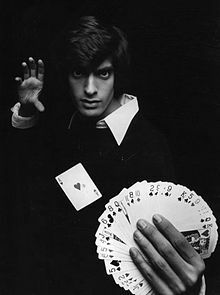 By age 16 he was teaching a magic course at New York University. Throughout his career he received 21 Emmy awards from 38 nominations and 11 entries in the Guinness Book of Records. To date he has sold 40 million show tickets, that grossed over 4 billion dollars. David is the only magician to have a star on Hollywood’s Walk of Fame. A man of so many achievements who has brought a sense of wonder to millions of people around the world and continues to do so. Some of his most spectacular illusions include the vanishing and reappearance of the Statue of Liberty, Walking through the Great Wall of China, Flying across Grand Canyon, the vanish of a Railway Coach in mid-air and his vanish of a Lear Jet aeroplane. This is not to mention his spectacular stage illusions, like walking through a huge Rotating Fan, his Buzz Saw or sawing someone in half. His mysterious levitation and vanish of an assistant and the bewildering vanish of a roomful of people are amazing. 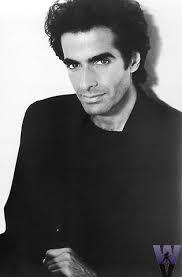 David Copperfield incorporates music, theatre and drama into his performances that have to be seen to be believed. There are so many lessons to be found in his performances. His illusion of flying is nothing short of spectacular and may stimulate many other magicians to search for the secret. Copperfield owns the International Museum and Library of Conjuring Arts in Las Vegas, Nevada that houses thousands of historical magical props that include many of Houdini’s original illusions, handcuffs, straight-jackets, padlocks and manacles. The museum houses thousands of posters, books and memorabilia associated with magicians over many years and is the largest such collection in the world, valued at hundreds of thousands of dollars. Wow! It is the largest repository of magicana in the world and a true magical heritage for posterity. One of David Copperfield’s favourite projects is his Project Magic under the auspices of the American Occupational Therapy Association that operates in hundreds of hospitals. It utilises sleight of hand to improve dexterity and movement with patients in limb rehabilitation that has proved highly successful, particularly with children. This therapy not only helps patients physically but mentally as well. This project is supported by hundreds of magicians who perform magic tricks to assist those recovering from injury. This is a lesson in helping others. For many years the David Copperfield Show has been a major drawcard for visitors to Las Vegas. In between he has produced many television spectaculars and travelled around the world, indeed a busy and creative performer with dynamic energy and drive. Some of his elaborate illusions can take two years of planning before becoming reality on stage. This only emphasises his determination. Of all the performing arts, I feel that magicians do not put as much effort into their practice and study to become successful, as other artistes. There are exceptions of course but when we see how much effort and time a musician, ballet dancer, opera singer or circus performer devotes to learning their craft, I believe we fall a little short. It would certainly pay to look into the life and exploits of David Copperfield to see just how much can be achieved by following his example and work ethic. 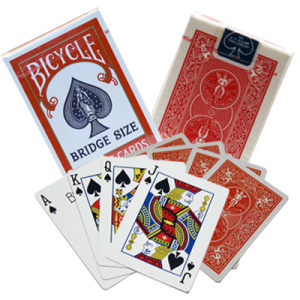 There is a great deal of information available on line dealing with David Copperfield. I have just learned a magic trick of balancing a folded banknote on the finger tips from Copperfield’s website. Google David Copperfield Magician then click on David Copperfield Teaches a Magic Trick on Camera to learn this very easy magic tick. It really is a neat trick you can do. David’s life to date contains many lessons to be learnt that will go down in the rich history of magic. Do you want to read more about the history of magic? Click here!